Looking for a word wall (with pictures to talk about, and English words), hand washing sign in Spanish? Back to school worksheets? Weather posters? More? Check out my Teachers Pay Teachers Store! Practice the emotions with these colorful printable. Can be hung on the wall for student use throughout the year. Can also be cut into strips and used for Charades or Pictionary. Use this as a great 'back to school' activity. These are fun for the kids, and a great way to get to know each other. They also look great in the hall at Open House. Reviews: name, birthday, likes, summer vacation, and more! Color Posters- Vivid pictures bring the colors to life, and give you lots of things to talk about when teaching your students the colors. Looks beautiful laminated as a poster for student reference throughout the year. Included are two color by numbers, and an introductory color worksheet. 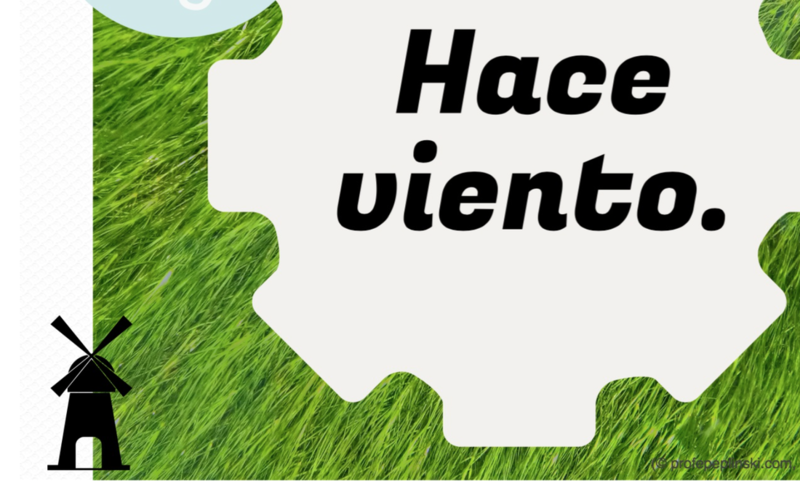 Signs with modern, clean graphics to help your students remember the weather. 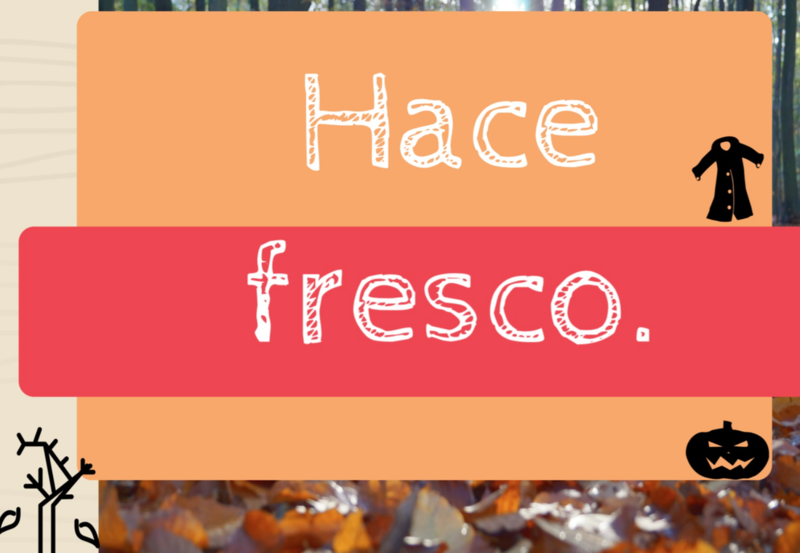 Includes: Hace sol, hace frío, hace calor, está nublado, nieva, hace viento, and hace fresco. 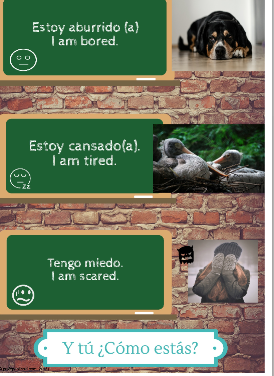 Featuring the 90 high frequency words from Blayne Ray's Look Who Can Talk, each word has at least one picture, and the word in Spanish and English. A great way to introduce these words, and a beautiful reference point for students to use throughout the year. I've included note taking sheets, and basic quizzes. Check out my blog for ideas on how to use a Word Wall! 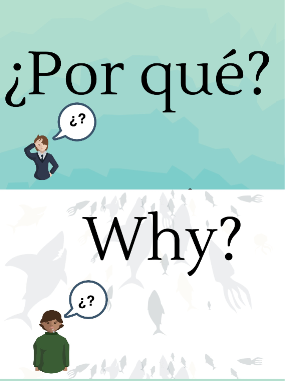 Simple signs to help your students easily identify the meaning of each Spanish interrogative. Each sign has big letters, and a picture that illustrates the meaning. 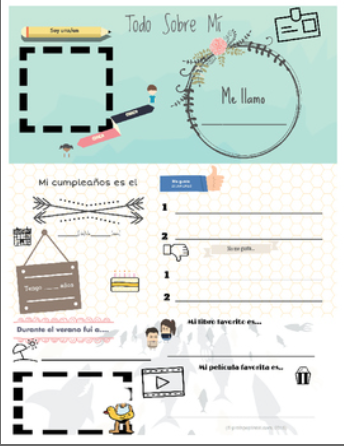 The pictures are designed so that teachers may use basic language to talk about each picture, and to repeat the question word for the students multiple times. Created with TPRS/CI (teaching proficiency through storytelling and Comprehensible Input) teachers in mind. Posters (8x10 size) include: What? Which? Why? Which color? How many? Where? How? When?Who?